Sports memorabilia, beer and big-screen TVs are all essential must-haves of the man cave–a room in the house (or sometimes in the garage) where the man of the house has complete rule. But why not move the man cave outdoors, where men can enjoy their personalized space in the fresh air? 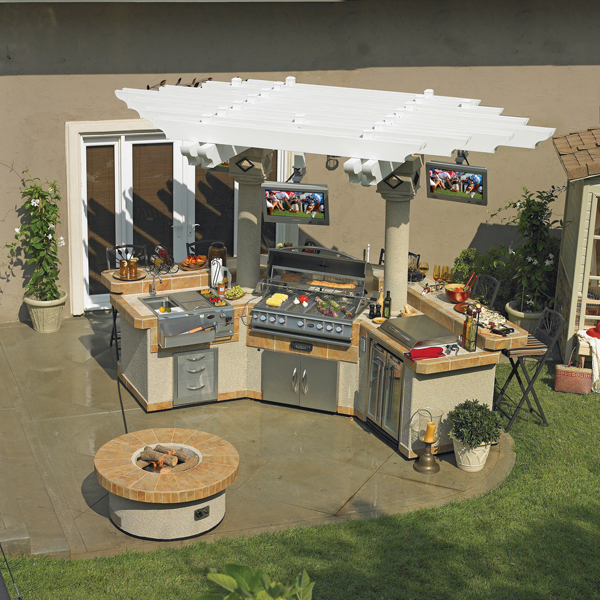 Outdoor-living retailers are starting to pay attention to the outdoor man cave concept and as a result are increasingly showcasing products that appeal to men. This is a great way to reach out to male consumers, who in the past tended to let their wives or girlfriends be the final decision-makers when selecting patio furniture. 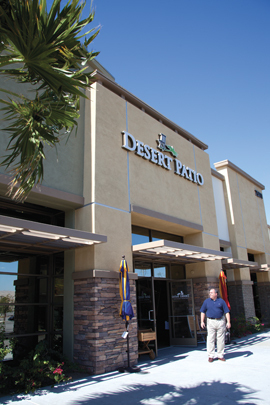 Desert Patio in Palm Desert, California, is one retailer that uses the man cave idea in some of its vignettes to appeal to male shoppers. William Thomas, owner of Desert Patio, explains: “We try to match decorating the outdoor patio of a home with the latest trends in interior design, and one of those is the man cave or the man space. It’s an outdoor place where the gentlemen of the house can feel comfortable, watch sports on television, relax, and maybe have brandy and cigars.” These vignettes have been a big hit with Desert Patio’s customers. Along with these important products, men can personalize their outdoor spaces by adding sports memorabilia, comfy lounge chairs, chat tables, outdoor beer dispensers, and even ping pong tables.